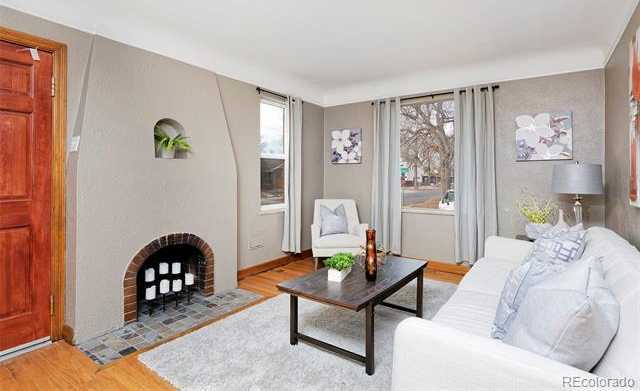 Gorgeous Remodeled Tudor Duplex in Berkeley. This home retains all the wonderful character of a Tudor home but with all the modern upgrades. Recent renovations include new kitchen, stainless steel appliances, granite counters, remodeled bathrooms (Yes 2! ), fresh paint, newer furnace, newer water heater, new plumbing AND electrical, 2 year old roof, and so much more. Rear addition is perfect for a formal dining room, family room, or even an office. Large open flex space in the basement along with a large bedroom and second bathroom. Enjoy Denver Summers in your private fenced yard. Live walking distance to all the great shops and restaurants of hot Tennyson St as well as Berkeley Lake. This is a fantastic home in a perfect location close to all the fun.